Split in UFBU - ET has reported that the process of 11th Bipartite wage negotiation for public sector bank officers and workmen may be done separately. 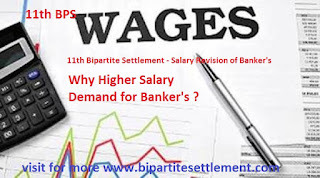 Wage revision in public sector banks takes place in every five years. 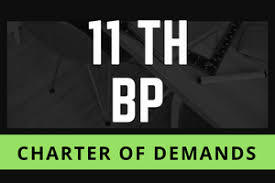 The 11th bipartite settlement is due from November 1, 2017. 11th Bipartite Wage settlement is already pending since 01st Nov 2017. The largest officers union boycotting the talks while the workmen unions are in favour of going ahead with it. While the negotiation process for the 11th bipartite settlement may be split , the wage revision is any way likely to be delayed by at least three months following the imposition of model code of conduct before Lok Sabha elections. IBA has raised its offer to 10% hike but the bipartite talks are stuck as the All India Bank Officers Confederation (AIBOC) is protesting the proposal to leave deputy general managers and general managers out of common wage negotiation purview which would pave the way for bank-wise wage hike for them. Following this impasse, the five workmen unions led by All India Bank Employees Association are keen to go ahead with negotiation only for their members under the Industrial Dispute Act. Workmen includes clerical and subordinate staff of banks. A final decision will be taken Wednesday at a United Forum of Banks’ Union meeting, AIBEA president Rajen Nagar told ET. Differences within the UBFU -- the umbrella body with nine unions -- surfaced publicly in last December when AIBOC observed a one day bank strike on December 21, five day before another strike called by all unions. IBA had earlier proposed a split mandate for officers up to scale III suggesting bank-wise increment for officers in Scale IV to VII. It is learnt that the bank management body has now proposed to expand the scope of bipartite wage talks up to Scale V officers. DGMs and GMs in public sector banks are in scale VI and scale VII respectively. The updated proposal for officers means bipartite negotiation will now cover 3.76 lakh officers, which is 99.27% of total officers in public sector banks. “In any case, about three months delay is likely for wage revision benefits to workforce & improvement in superannuation benefits to past pensioners,” another union leader said. Since the eight bipartite settlement, the wage hike talks have been held jointly for workmen and officers. The 21 public sector banks has over 8.5 lakh people with about 458000 workmen.